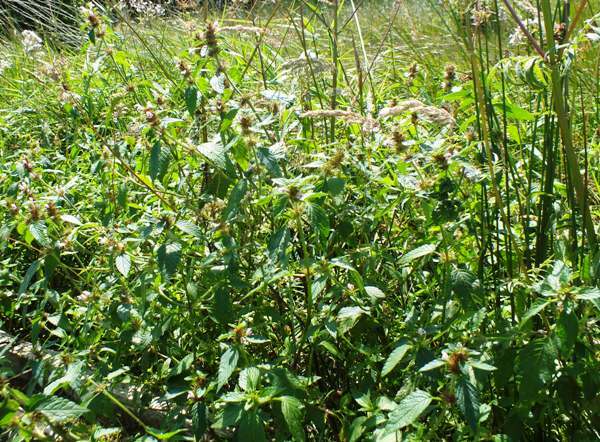 Common Hemp-nettle (the name is also written Hempnettle or Hemp Nettle) is an uninspiring member of the Mint family. This arable weed is easily overlooked on roadside verges because its flowers are small and sparse. Common Hemp-nettle is widespread throughout Britain and Ireland, but it is more common in the south and west. On mainland Europe the range extends from Finland down to the Mediterranean, and it extends eastwards into parts of Asia. The square-sectioned hairy stalks and straggly appearance of this branching plant are a help in its identification. Its nettle-like leaves have regular large teeth around their margins, and the flowers themselves are usually pinkish-purple but quite commonly, as in the sample shown here, they are almost white. Yellow-flowered specimens also occur in some parts of Britain. Plants can grow up to a metre in height. 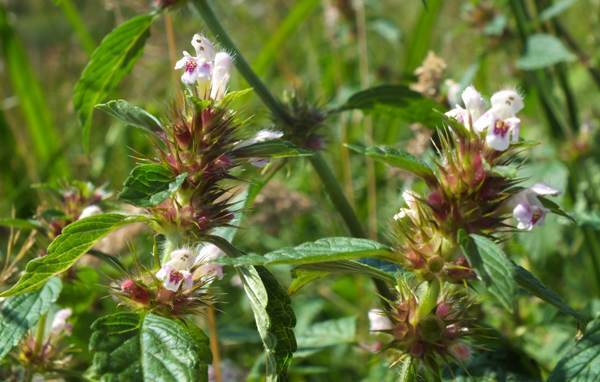 Ploughed or otherwise disturbed ground and hedgerows are its more normal habitat, but we have also found Common Hemp-nettle growing in the gravelly shallows of spate rivers, and it is occasionally seen in open woodland too. 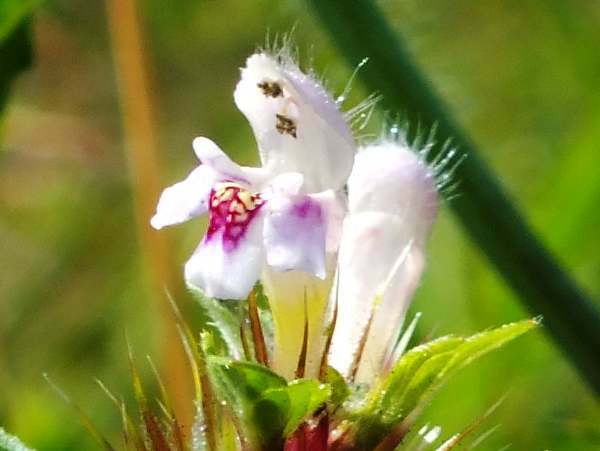 The flowers first appear in July and Common Hemp-nettle continues blooming until September.